Each year, Sweet Briar College presents a number of awards to seniors to honor their academic excellence in areas across the liberal arts and sciences. Several members of the Class of 2018 and one M.A.T. 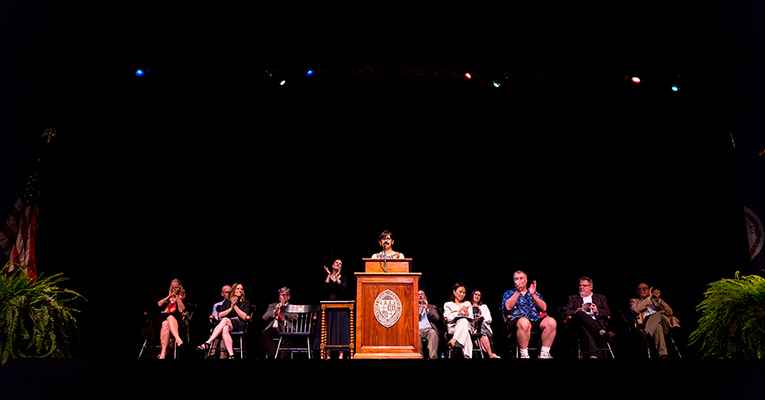 candidate received individual awards this afternoon during a special convocation in Murchison Lane Auditorium. Dean’s list students and members of honor societies were also recognized.